Congratulations: you are part of a small but growing group that’s taking advantage of the power of visualization. 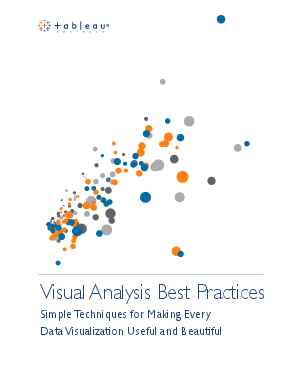 However, bringing your visualizations from “good” to “great” takes time, patience, attention to detail, and some basic knowledge of visual analysis best practices. Luckily, we have compiled an important list of techniques to get you started.